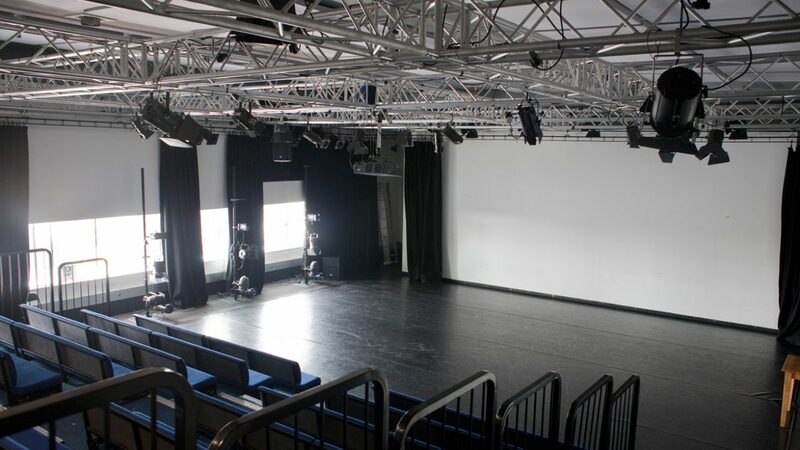 The larger of our two spaces on our 4th floor floor, accessible by both stairs and lifts, The Studio is fully equipped with retractable seating, projector, Wi-Fi and air conditioning. 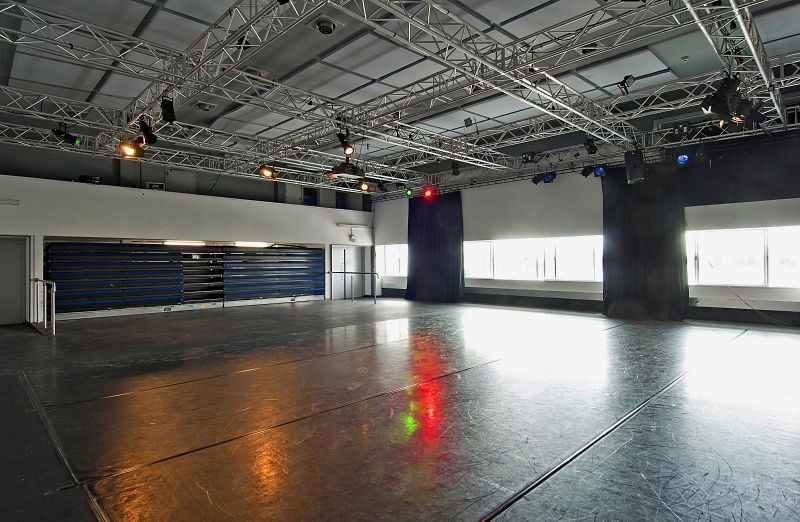 There’s a full lighting rig – and you can also open the black-out blinds and enjoy plenty of natural light. 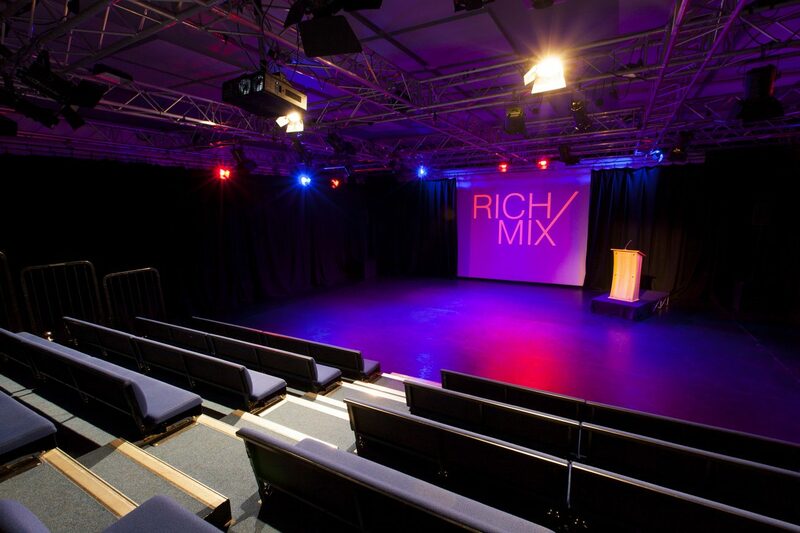 It’s ideal for conferences, exhibitions, parties, award ceremonies and other big events. 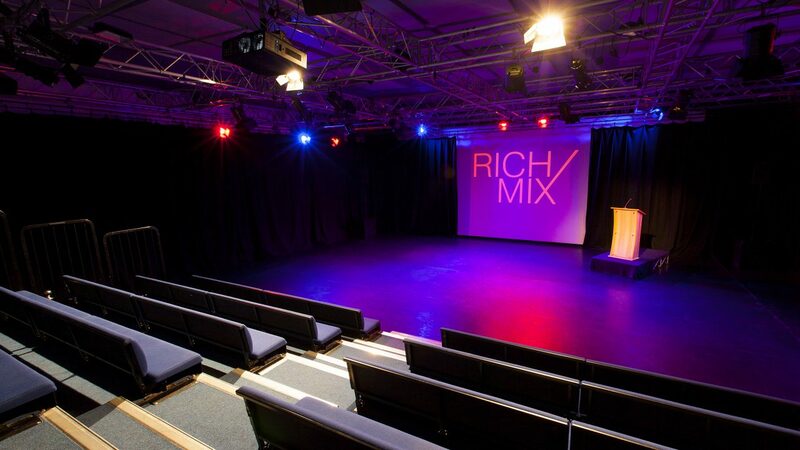 It makes things much easier when venues are open to ways we can theme and personalise events, as well as really understanding how to optimise the guests’ experience. 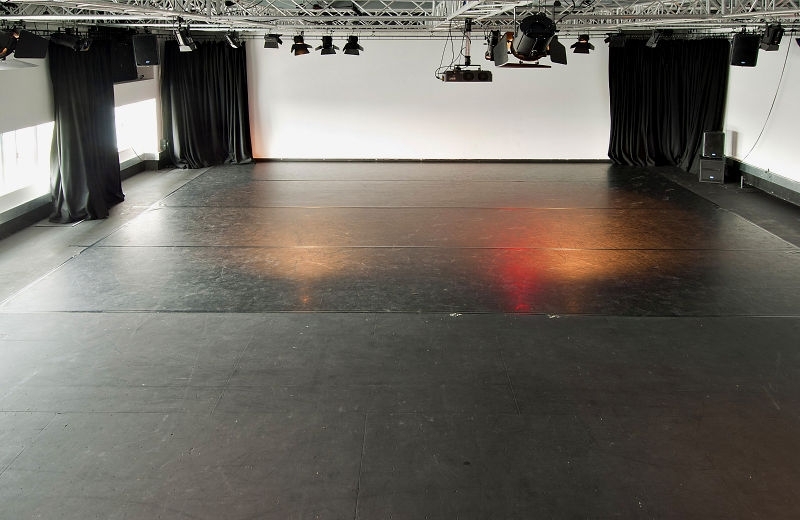 [technical] Really wonderful with the lighting and managed to create the right atmosphere for the installation… the perfect space for our show. 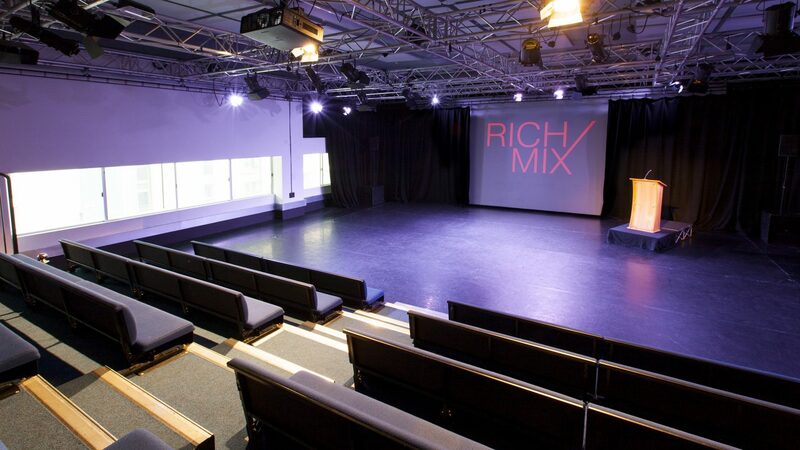 Did you know Rich Mix is a charity?As an independent not-for-profit organisation, all of our net profits go back into supporting our mission: Inspiring the communities of the world who live in London to come together to make, debate and experience art and culture that gets to the heart of life today. 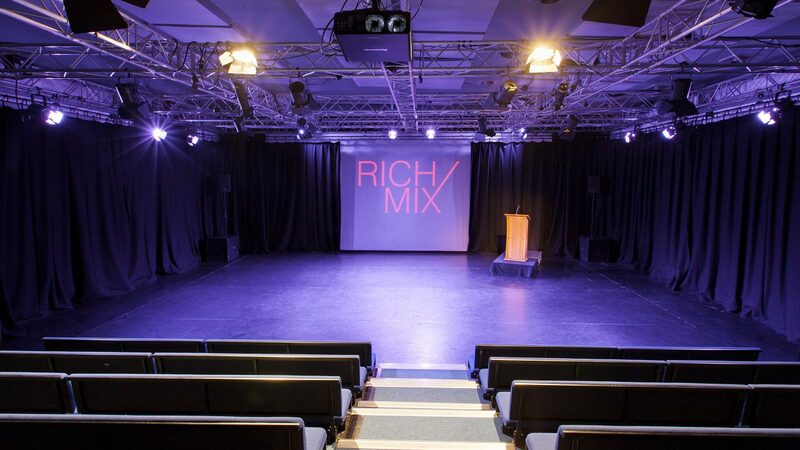 The best starting point to plan your event at Rich Mix is to contact us and tell us everything you hope to achieve - space, number of people, format, etc. - via our online enquiry form below. We'll then come back to you with some ideas.